With so much research happening in Stem Cells, we read about media reports on findings and research results almost on a daily basis. In such a scenario it is too easy to not realize that research have been going on in this field since the 1960’s. However, till today there is so much more to learn about these cells especially how they regenerate and treat the diseases. There are various sources of stem cells in the body. Cord Blood, Bone Marrow, Peripheral Blood, Embryos, Fetal cells and various other organs of the body, which can produce cells as well. Scientists are consistently finding ways of isolating various cells and deploying them to fight ailments. Out of all these cells from Bone Marrow are perhaps the oldest and most reliable types of stem cells known. 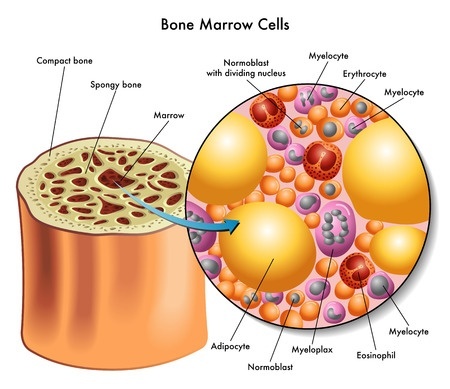 Stem cells from Bone Marrow are the most widely used cells for therapeutic use across the world. We at Advancells, through our partner Cells4Life GMBH have the experience of treating 8000+ patients using the patients own bone marrow stem cells.